If your spouse is attempting to cheat, then you should probably purchase him an “Anti-Cheating Ring”. The “Anti-Cheating Ring” is a ring made of titanium, with the words “I’M MARRIED” in capital letters, engraved inside the band’s interior. 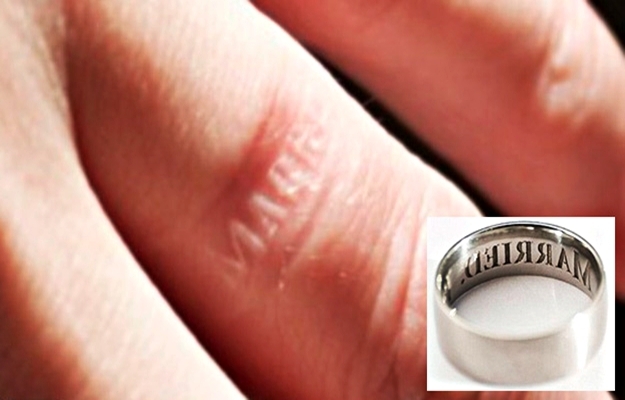 Once the wearer removes the ring, the message will be branded into the skin, for a while and it won’t go away easily. This unique ring can be bought via the website, TheCheeky.com, for a hefty amount of $550.